Many people do not pay the attention to security that they should, but it is important to constantly keep an eye on the happenings around your home or business. Burglaries are occurring in even the safest of places with an alarming regularity, and there are other crimes that you need to worry about as well. Simply ignoring security will not make the problem go away, so now is the time to make a plan for keeping your home or business secure. A lot of people think that keeping their home or business safe and secure is a lot of work, but it doesn’t have to be. If you employ the right security methods, you will not have to worry much about security. 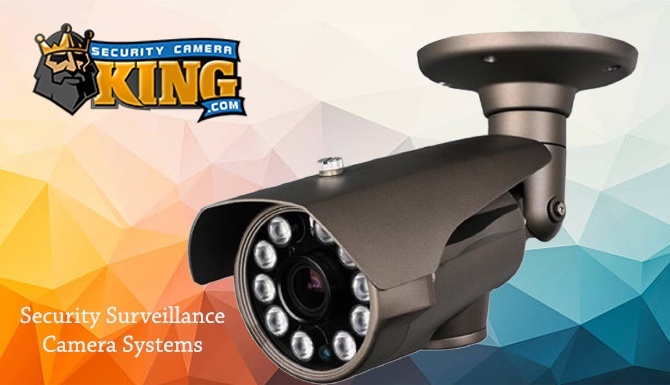 In fact, installing a set of surveillance cameras and purchasing a nice DVR system can make security both effective and easy, and the good news is that you do not have to spend a fortune purchasing all of this equipment. Before you can purchase the right surveillance system and digital video recorder for your home or business, you need to assess your individual security needs so that you can buy the right system. Instead of simply clicking away and purchasing the first security system that you see online, take a few minutes to determine what type of system that you need. Rushing into the purchase will almost always guarantee that you will be unhappy with your system, but thinking of a few specific needs can help you to choose a system that you will be happy with. First of all, determine if you will be watching the inside of your building, the outside or both. 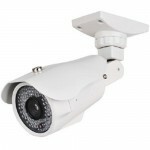 Most commercial businesses benefit best from having both the interior and exterior of their building under surveillance. This helps to cut down on crime and vandalism in the parking lot, helps you to monitor employees and customers inside and gives you several angles of individuals who come in and out of your business. Most homeowners are content to simply monitor the exterior of their home. This can be a good idea for many families because a lot of people feel as if their privacy is compromised if the inside of their home is under surveillance. However, you should never skimp on surveillance when it comes to the outside of your home. You also shouldn’t give up on indoor surveillance without thinking about it beforehand. Some families do benefit from indoor video surveillance; for instance, parents who leave their children in the care of a babysitter or nanny on a regular basis might consider indoor surveillance in order to keep an eye on their children and to ensure that their babysitter does not mistreat their kids or steal any of their belongings. Next, you must determine just how much security is important to you. For instance, those who live in areas that are known for a lot of criminal activity may want to keep their entire property under surveillance, while those who live in a relatively safe neighborhood might be comfortable with simply setting up cameras near their entryways and near their storage shed. Only you can determine what you feel comfortable with, but it is usually best to go with more security than less when given the option. Another important step of setting up an effective security system is purchasing the right digital video recorder. 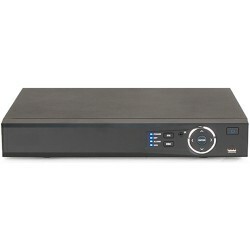 A DVR will record your video surveillance footage, and it will store it until you need to use it. With your digital video recorder, you can watch your surveillance footage whenever you want to, and you can rewind, pause and fast-forward your footage when you need to. A good digital video recorder is truly one of the best ways to make security easier for you. One of the most important aspects of maintaining proper security with a digital video recorder is choosing the right unit for your needs. Every individual or business has different needs, so the DVR that works well for your neighbor or best friend might not work well for you. Instead of asking for suggestions from others, take a look at your own property and your own security needs and write down the features and design that you want to look for; this will help you to make a more educated and more successful purchase. 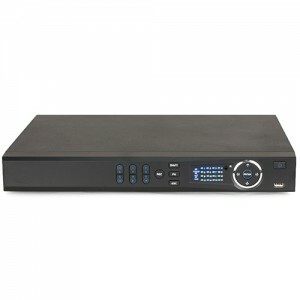 You will want to purchase a digital video recorder that picks up enough channels. This will be determined by the number of security cameras that you need. For instance, a four-channel digital video recorder will only work with four surveillance cameras, and most homes and businesses require more channels than that. Make sure that you purchase a good digital video recorder and enough security cameras so that your property is well-protected. Although there are different options for storing and viewing your digital video from your security cameras, a stand-alone digital video recorder is typically the best option for both residential and commercial uses. These DVRs cannot be hacked like a computer can, and they can not get viruses. They are also convenient and easy to use, even if you are a beginner to electronics, and their prices are usually quite affordable. In order to make security as easy as possible, it is important to choose equipment that will do most of the work for you. Although digital video recorders with more features are typically a bit more expensive than those that only have the most basic of functions, the price is usually relatively marginal. This makes it worth the extra money to purchase the DVR that you really need. Your security is important, whether you are watching your home or your business, and security is the one aspect that you really should not skimp on. When looking for features, you will want to determine the features that can be most useful for you. For instance, many people prefer to have a digital video recorder that has the option for burning CDs or DVDs. This can be a very handy feature, and tons of affordable digital video recorders have this capability, so you might want to splurge on it, just in case you need it in the future. You should also consider if you would benefit from being able to monitor your surveillance cameras when you are away from home or your business. Although you will probably typically watch the footage that is stored on your digital video recorder from a monitor in the home or business, it can be very convenient to have access to this footage elsewhere. For instance, a business owner might decide to check out what is going on at his business when he is at home in the evenings, and a mother might feel better checking on her home while she is at work if she knows that her child is home alone. Many digital video recorders have this technology, and they allow you to watch your footage from your computer or even your smart phone. It is also important to take a look at some of the specifications of a digital video recorder before purchasing it. Make sure that the DVR has a hard drive, and make sure that there is plenty of space on it; otherwise, you might run out of space when you need it the most. You may also want to find a DVR that allows you to use an external storage unit such as a flash drive or external hard drive. If you buy a flashy digital video recorder and a nice set of surveillance cameras but do not utilize the great features that your digital video recorder offers, you are truly missing out. Many people get excited about the features that come with their DVR and their security system when they first make the purchase, but then they never use them. Learn how to use all of the features of your DVR when you bring it home, and make sure to utilize these features regularly in order to enhance the benefits of your digital video recorder and to make security easier and more convenient for you. Digital video recorders and surveillance cameras can be very useful and effective for security purposes, whether you are using them at home or at your business. However, a surveillance system that is not set up right cannot properly do its job, which will therefore make security a bigger and more difficult issue for you. Taking the time to set everything up correctly in the beginning will provide you with the best security, and it will allow you to relax and to allow your security system to do all of the work. Make sure that you place your cameras in the right place when setting up your security system. If your cameras are positioned or placed incorrectly, your security will be compromised. After setting them up, take a look at your screen to make sure that you are able to see what you want to see, and consider adjusting them if necessary. It might seem a bit frustrating to constantly position and re-position your cameras, but it will be worth it in the end if you have a clear picture of the area that you need to keep an eye on. Remember that this is basically a one-time deal, and you will not likely have to mess with your cameras again for quite some time after initially setting them up properly. Also, make sure that you learn how to use your digital video recorder properly when you set it up. Take the time to read the instruction manual, and try out each of the features until you are confident. Put some thought and consideration into where you place your DVR and your monitor. If you place your monitor in a place where you sit frequently, such as in your office or your bedroom, you will be more likely to watch your surveillance footage, and you will be more likely to chance suspicious activity in action. One mistake that many people make when it comes to security is that they simply don’t use it. 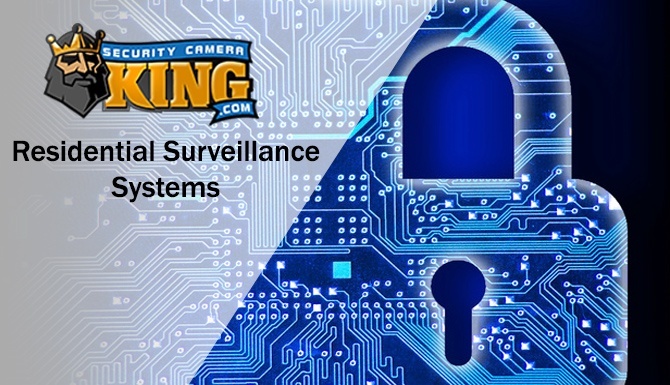 Although most people will use their surveillance system and will watch their surveillance tapes on a regular basis when they first get their system, many people slack off over time, and this is never a good thing. Although you might get a false sense of security from watching your surveillance footage regularly and never catching anything that seems suspicious, that does not mean that something cannot happen today, tomorrow or next year. You never know what could happen when it comes to residential or commercial security, but you have to know what to watch for, and you have to actually watch for it. This means that you should always have your digital video recorder on. Turning it off or setting it so that you are only streaming video instead of recording it can be a recipe for disaster. It often seems that as soon as you turn your digital video recorder off, something will happen. Therefore, it is important for you to record your surveillance footage 24 hours a day, even during a time when it seems that everything is calm, safe and secure around your home or business. You should also watch your surveillance footage regularly to ensure that you are not missing anything. Just because your home or business has not been broken into yet does not mean that someone is not planning it. Watching your surveillance footage can allow you to discover individuals who act suspiciously around your property, and you can contact the authorities and let them know about the situation before anything actually happens. This is one of the many ways that security is made easy with a DVR system, but the benefits are actually endless. For further information on the issue, please do not hesitate to contact us.